Orchids Tissue Papers Products is specialized in manufacturing kitchen tissue rolls and offered them in bulk to various sectors of the industry. They are made from synthetic and soft fabric materials and are perfect substitute for kitchen towels. Our kitchen tissue papers find great application in hotel industry, residential kitchen and catering business. We have made these tissue papers in such a way that they completely remove germs and bacteria from your hands and face to keep you safe and healthy. 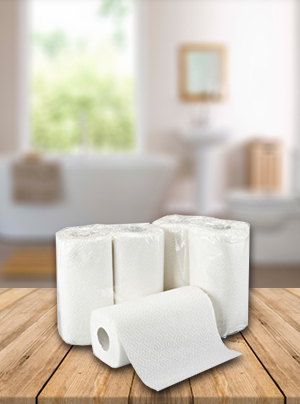 These sweat absorbent kitchen tissue papers are available in different packs to meet your needs. Our tissue rolls can be easily changed within few seconds and can be used for a longtime. Note:We offer the range of products at wholesale price for bulk quantity. Copyright © 2016 Orchids Tissue Papers All Rights Reserved.